beverages, cigarettes, drugs, photographic floor, household necessities and other fields. and other barbecue used to avoid burning them. Also widely used in isolation, heat exchange, and as conductors. Usually, the thickness of the foil in the food bag is only 6.5 microns. This thin layer of aluminum can be waterproof, keep the flavor, anti-bacterial and anti-fouling. which is less harmful to nature. 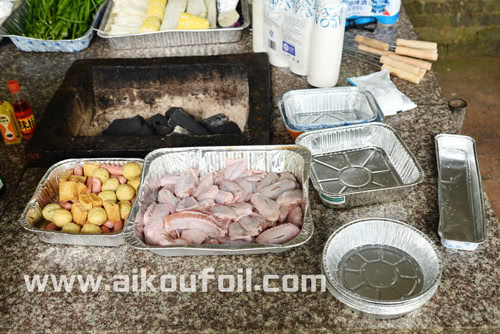 with aluminum foil to burn, to avoid charred. 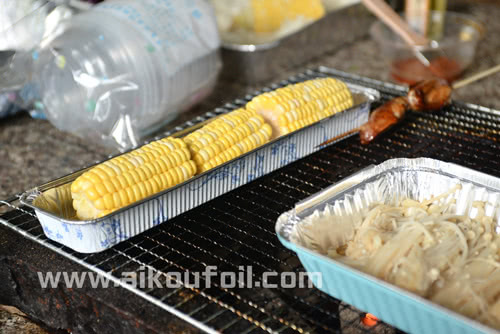 Wrapped with aluminum foil to burn seafood, gold mushroom dishes, etc., can retain the flavor. The aluminum foil into a group after the opening, you can absorb the oil in the soup. the aluminum foil will increase the surface tension.